If you’re like me and you love riding sport bikes and dirt bikes, you already know they don’t have much room to carry gear. So, in this article we’re going to reveal our findings on the best motorcycle backpacks from a few different categories, and also help you to know the important purchase decision parameters. Whether you need to take home groceries or carry more luggage on a long trip, there’s never enough space on a bike. Even my BMW K1200GT with roomy hard-sided bags and a tank bag doesn’t always have enough room! 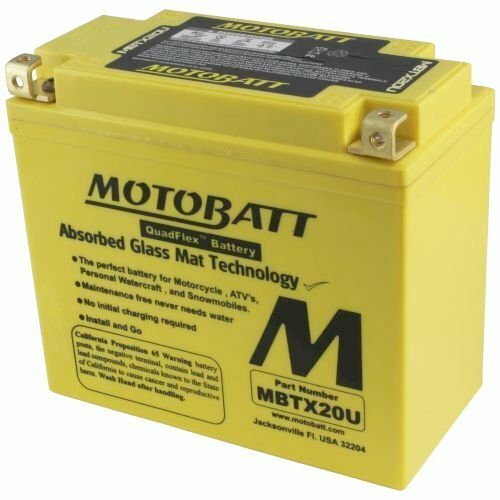 Also, see our other motorcycle gear reviews: Best Helmets, Best Bluetooth Helmets, Motorcycle Boots, Winter Motorcycle Gloves, Portable Jump Starters, Motorcycle Locks, Covers, Tents and Rain Gear. 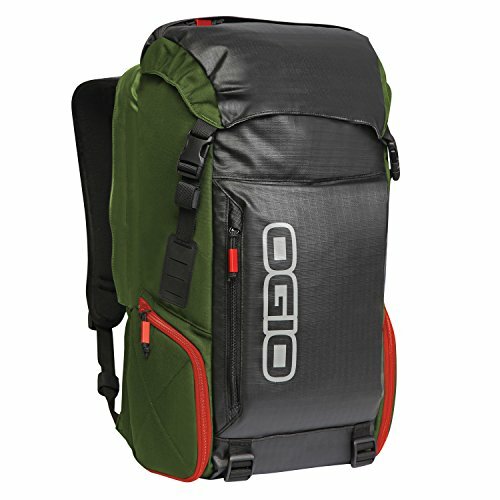 OGIO is a brand that has been slowly carving out their place in the world of luggage and backpacks. I’ve seen their gear starting to show up more often and frankly, they’re well-loved for design and quality. This large motorcycle backpack is a solid choice for its water resistant design, slim profile, and great material choices. It’s made from ripstop polyester that’s coated to repel water. This makes the main body of the backpack lightweight, durable, and highly water repellent. I love the top loading main panel which is large and will feel familiar to hikers. There’s an external access padded laptop sleeve so you can keep that expensive computer safe and sound. With nearly flawless user feedback, this pack stands out as our number one pick. It may be a bit bulky for some riders though. I would have liked to see a hip belt included based on the larger design of this bag. 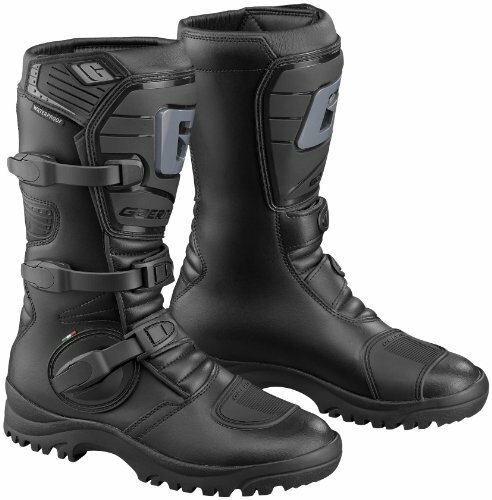 Best for larger loads and longer trips where riders are looking for a more hiking inspired design. Experienced riders will recognize the impeccable Shoei name. 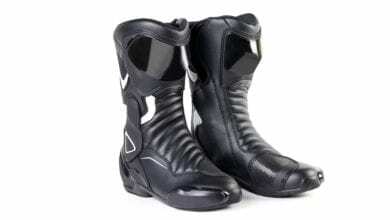 They’re known for their top quality motorcycle equipment and helmets. Naturally, they’re bringing us a mid to small sized motorcycle backpack with a sleek, streamlined design. While the backpack is a one size model, there are still two front straps to secure the bag. Due to the moderate to small size of the backpack, these two straps will help the backpack sit tight during aggressive riding. I love that there’s a stashable helmet holder. There’s never enough room in the backpack for a helmet, so Shoei made it easy to strap your helmet on the outside while still having room for gear in the backpack. I would have liked to see them bump up the laptop sleeve to 17” but users with 15” laptops will have no problem. Due to the overall slim size of the backpack we can’t expect to be able to fit everything! You’ll have to do all of your own waterproofing with this backpack. The pack itself isn’t waterproof at all. 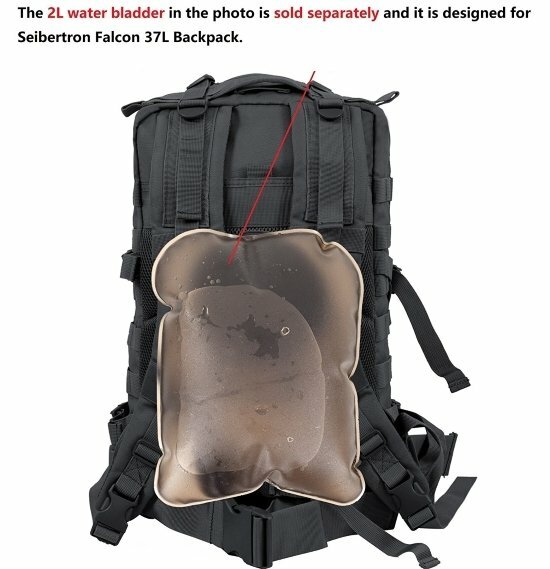 I have mixed feeling about this, but the low price point of this backpack takes some of the sting off of their failure to make it waterproof. Can’t have it all. 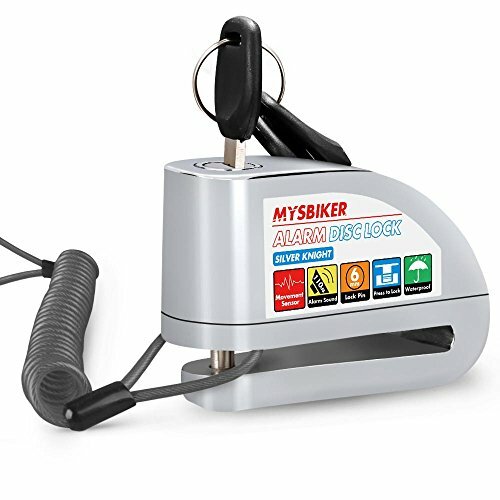 Best for small commuter loads and having a place to store your helmet! 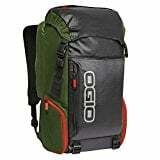 OGIO brings us another solid winner with this sleek, aerodynamic bag that’s made to look good and work well. This motorcycle backpack is designed specifically for the tech savvy commuter. If you need space for riding gear and all your tech goodies for work or school, look no further. If you’re like me and ride with full protective gear, you know how annoying it is to carry around your casual clothes as well. This backpack has room for riding shoes when you’re at work, or casual shoes when you’re on the bike. There’s space for your protective gloves and a change of shirt or slacks to change into when the time is right. One of the major features of this backpack is that there are tons of electronics storage and protection. Padded electronics pockets are included for your phone, tablet, and laptop in case you need the computing power of a small country. There’s also general accessory storage and pen or pencil storage. Because of the design, this makes a perfect motorcycle backpack for the professional or school commuter. 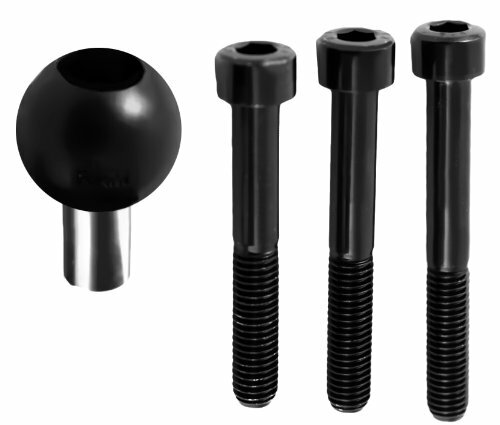 Thanks to the streamline design and sleek look it’s probably most suited for aggressive riders or sport bike riders, though any motorcycle rider will enjoy the reduced drag benefit of the molded, aerodynamic shell. 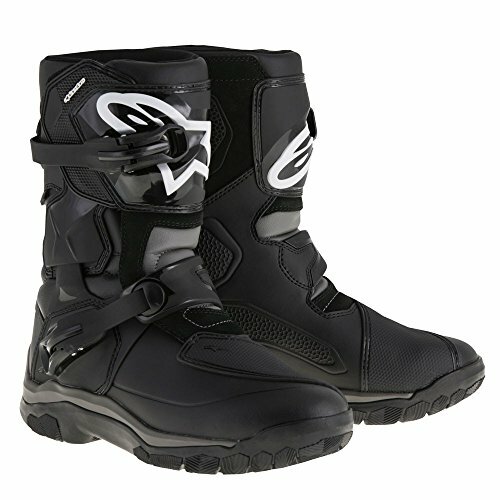 Best for looking awesome while you ride hard to and from work or school. There’s something about this pack that just strikes an appealing balance between sleek, aggressive, and casual. Thanks to the inclusion of heavy duty cordura with its denim-like texture and the leather, this pack hints faintly at leather vests and motorcycle jackets. There’s a lot to love here when it comes to technical features as well. Of all the motorcycle backpacks we’ve reviewed for this list, the Viking Moto bag is by far the best option for Harley lovers or cruisers. It’s an aesthetic thing. If you prefer the look of worn leather and heavy denim, this is the bag for you! Again, it would have been nice to see enough room for a 17” laptop but that would have added a lot of bulk to the backpack. As it is, the generous hip belts wrap around and the main body of the pack slants backwards for a very sleek feel that’s aerodynamic. I do love that there’s a removable, built in helmet holder for when you’re not riding. I always appreciate extra secure straps on a motorcycle backpack and Viking Moto serves it up with an included sternum strap to keep the bag totally locked down while you ride. Best for a rough aesthetic mixed with streamlined, functional commuter bag. Seibertron brings us what is inarguably the largest and bulkiest motorcycle backpack on our list. That doesn’t mean it’s a bad backpack though. With tons of space and a military look, this bag might be perfect for longer trips or tactical applications. Despite the larger design, there are plenty of external straps for compressing the pack. This keeps loads from shifting and allows you to really cinch the backpack down when you’re carrying smaller loads. Like any Molle pack design this pack is covered in daisy chain straps. These are places where you can easily attach removable pockets, clips, gear, and anything else you’ll need. With these daisy chains and the numerous individual pockets there’s room to organize and store tons of goodies. An optional Seibertron Falcon water bladder is also available here. This pack is best for tactical looks, long trips, and large loads where the pack might be lashed to the bike. Because of the square shaped design, this backpack might make the best luggage option of any pack on our list. Using bungee straps or ratchet straps, you could easily attach the pack to your motorcycle’s back seat and lash it down securely. Thanks to the pack’s overall large capacity this makes an attractive option for those considering longer motorcycle camping or touring trips. Motorcycle backpacks are by far the easiest option for a grab and go solution to carrying stuff on a bike. Especially if you don’t want to attach or install hard bags on your bike. Motorcycle backpacks are quite a bit different from that Mickey Mouse bag you loved in 2nd grade. I’m going to help you understand what makes the best motorcycle bags and what to avoid. I’ll guide you through the process of picking out the best motorcycle backpack for your needs. There are tons of important factors to sort through when buying your next motorcycle backpack. Don’t get lost wasting time on what doesn’t matter. Let’s find out what really makes the difference! What Do You Need to Carry In Your Backpack? In the world of backpacks, not every pack is designed to fit every person. The best backpacks that stay true to your size are available in several sizes. Usually backpack manufacturers will offer their bags in small, medium and large. How can you tell what size you need? It’s measure from the protruding vertebrae between your shoulder blades (at the base of your neck) down to the top of your iliac crest (top of the hips). This measurement is then compared to the manufacturer’s sizing chart. Whatever size fits you closest is the correct backpack! For backpacks with hip belts this measurement is critical. Backpacks without hip belts are generally much more forgiving in sizing in this way. Speaking of hip belts, let’s decide right now whether you want one or not. Many casual backpacks don’t come with a hip belt. Hip belts are usually used to help distribute a heavy load onto the hips. This helps for comfort and stability usually when hiking. Of course, you won’t be hiking much with a motorcycle backpack. So is a hip belt still useful? Absolutely! I love hip belts on any backpack that I ride with. It helps hold the backpack securely against your back so it doesn’t get lifted by wind, or shift when cornering. Particularly if you like to push your speed and cornering, having a load shifting from side to side on your back can be potentially disastrous. That’s why I argue that high performance motorcycle backpacks need a hipbelt. Motorcycle backpacks have a unique set of needs. They must be large enough to hold commuter gear, yet small enough to remain mostly unnoticed. They must avoid interfering with the ride, while still providing space for often large and bulky daily items. Usually backpacks are measured in liters of capacity. A good size for motorcycle backpacks to be useful daily packs while still remaining slim is about 20L. Anything less will be much more slim, but harder to fit things like a laptop. Larger packs quickly become unwieldy. 10-20L – Slim packs for water bladders, snacks, a book or two, and keys. 20-30L – Moderate packs with room for a laptop and several books. 30+L – Large packs highly likely to be too bulky for comfortable riding. Whenever larger backpacks are involved, such as the 20+ liter category I would advise looking for a backpack with excellent compression capability. Shifting loads in a motorcycle backpack are distracting and can put you in danger during hard cornering. Look for backpacks with a laptop compartment that’s padded and secure. A velcro or bungee strap to hold the laptop in place (or any other heavy loads) is critical. Look for a backpack with external straps that can be used to cinch or compress the stuff inside. 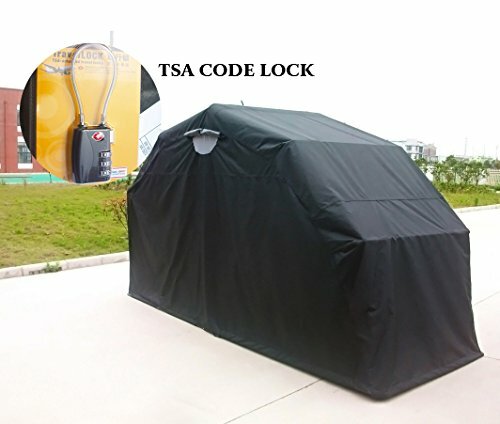 On another note for security, you may want to seek a bag that also has the ability to be locked up. If you’re an urban commuter and want to leave your backpack on the motorcycle, you’re in luck. There are several variations of backpacks and bags with metal cables integrated that can be locked up. Any determined thief will eventually be able to break in though – it’s fabric after all. This is perhaps the most important question of all in deciding which motorcycle backpack to get. If you need to carry school books and laptops to class, you might be just as well off with a school backpack. Just know that it might not be as “high performance” as a dedicated motorcycle backpack. If you want a slim and fit backpack that will carry lunch and a water bladder while you push your bike through the twisties of SoCal with your buddies then a school pack isn’t the right choice. You’ll want something smaller, with a hip belt, and a very slim profile. We’ve all gotten caught out in the rain on our bike at one time or another. It’s unexpected and unplanned for. That’s why waterproof motorcycle backpacks can be a lifesaver. These waterproof backpacks are ready when you’re not! For weekend warrior riders, a waterproof backpack might not be as big of a deal. 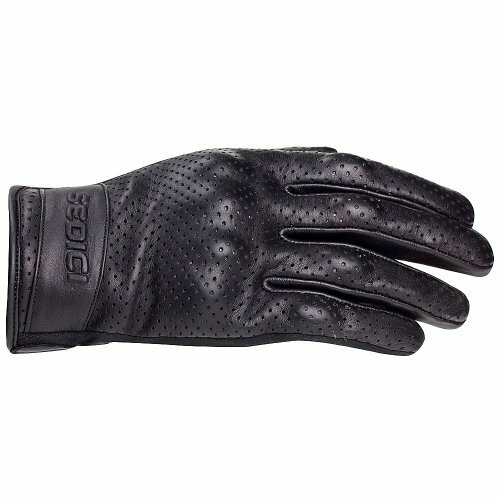 But if you’re planning a long touring trip or if you ride your bike every day rain or shine then waterproof features are a must have. When subjecting a backpack to rain coming at 70+mph it’s hard to make anything truly waterproof. However, looking for water resistant zippers will help a lot. Some backpacks have a seamless outside shell with the zipper tucked on the back panel, protected by you. These are possible the most waterproof option available. 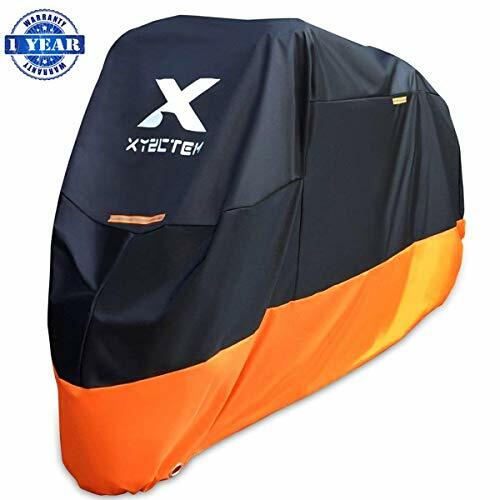 Any waterproof motorcycle backpack can be bolstered with dry sacks. These are additional waterproof bags that you pack your books, clothes, or electronics in. Then you pack these bags inside your already waterproof backpack. That way if the water does happen to get in after a long ride in the rain, you won’t have a fried MacBook Air that will cost you an arm and a leg to replace. Overall there are many factors at play with any motorcycle backpack. If you’re a commuter you may want a small, lighter, and aerodynamic backpack. For touring, waterproof bags with larger capacity are ideal. Of course everyone has their own preferences so we encourage you to think about what qualities are most important to you. There are tons of options for motorcycle backpacks. Once you’ve reviewed the How to Choose section, head to your favorite store or retailer to start shopping. Don’t forget to start with our reviews of the best motorcycle backpacks available today! Now that you know what to look for and what to keep in mind, here are a few suggestions. These backpacks are great options to get you started looking for the best motorcycle backpack for you! We hope this article helps you in finding the best motorcycle backpack for your needs. Have some great times and be safe out there !